Mary J. Blige is partnering with NASA to encourage girls and young women to pursue careers in Science, Technology, Engineering and Mathematics (STEM). NASA released two public service announcements featuring Blige and space shuttle astronaut Leland Melvin this week on NASA TV online. In addition, Blige, who cofounded the Foundation for the Advancement of Women Now in 2008, has made several television appearances in the last week to talk about the program. The goal of the collaboration is to garner attention for NASA’s Summer of Innovation, a multiweek, intensive STEM program for middle school teachers and students during summer 2010. Coordinators hope the program, which is in support of President Barack Obama’s Educate to Innovate Campaign, will counter the “summer slide” (loss of academic skills over the summer) and other issues facing students who are underrepresented, underserved, and underperforming in STEM. SOI programs will take place in several states including Idaho, Massachusetts, New Mexico and Wyoming, and students will learn about and develop projects involving wind turbines, weather stations, engineering in suborbital space, robotics, astrophysics, and space exploration. Marian Johnson-Thompson, professor emeritus at the University of the District of Columbia, says parents should find female role models in science for their girls. 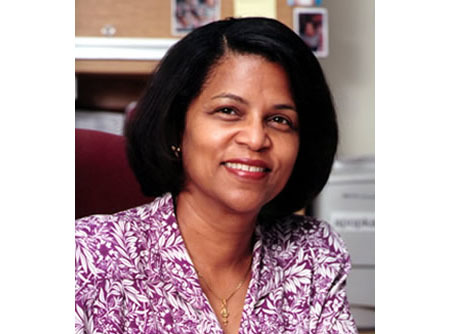 For STEM Spotlight this week, BlackEnterprise.com spoke with Marian Johnson-Thompson, professor emerita at the University of the District of Columbia and an adjunct professor in the School of Public Health at the University of North Carolina at Chapel Hill. She talked about five things parents can do to encourage their girls to pursue an interest in science. Relate science to activities that girls, in particular, will understand. Tell your daughters about the chemistry involved in cosmetology or the scientific processes involved in cooking, says Johnson-Thompson. There is an entire discipline of science devoted to food science. Show them that bread is made from yeast rising, that pickles are made as a result of the fermentation process, and explain to them the role of microorganisms in yogurt and cheeses. “Explain science so that children can see how it is used in their everyday experiences. Then it will help them to be more engaged,” she says.